POINT-1 Quran 1:7 The path of those upon whom You have bestowed favor, not of those who have evoked [Your] anger or of those who are astray. QUESTION: WHO ARE THOSE WHOM ALLAH BESTOWED HIS FAVOR? 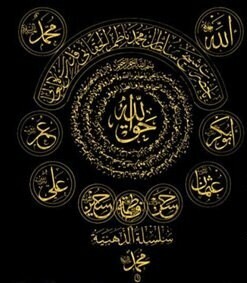 عَنْ أَبِي مُحَمَّدٍ عَبْدِ اللَّهِ بْنِ عَمْرِو بْنِ الْعَاصِ رَضِيَ اللَّهُ عَنْهُمَا، قَالَ: قَالَ رَسُولُ اللَّهِ صلى الله عليه و سلم “لَا يُؤْمِنُ أَحَدُكُمْ حَتَّى يَكُونَ هَوَاهُ تَبَعًا لِمَا جِئْتُ بِهِ”. حَدِيثٌ حَسَنٌ صَحِيحٌ، رَوَيْنَاهُ فِي كِتَابِ “الْحُجَّةِ” بِإِسْنَادٍ صَحِيحٍ. a fine and true hadith which we have transmitted from the book of Hujjah with a sound chain of authorities. So one to attain Iman (faith) and to become faithful believer (Mumin) his/her inclinations must be according to Quran and Sunnah. Quran 4:59 O ye who believe! Obey Allah, and obey the Messenger, and those charged with authority among you. Obey those who are in authority among you, that is to sincerely (not like wahhabis say: blindly!) follow the leaders of the greater majority Muslims. The Prophet (peace and blessings of Allah be upon him) said, “The deen (religion) is naseehah (advice, sincerity).” We said “To whom?” He (peace and blessings of Allah be upon him) said “To Allah, His Book, His Messenger, and to the leaders of the Muslims and their common folk.” Related by Muslim. عَنْ أَبِي رُقَيَّةَ تَمِيمِ بْنِ أَوْسٍ الدَّارِيِّ رَضِيَ اللهُ عَنْهُ أَنَّ النَّبِيَّ صلى الله عليه و سلم قَالَ: “الدِّينُ النَّصِيحَةُ. قُلْنَا: لِمَنْ؟ قَالَ لِلَّهِ، وَلِكِتَابِهِ، وَلِرَسُولِهِ، وَلِأَئِمَّةِ الْمُسْلِمِينَ وَعَامَّتِهِمْ” . QURAN AL BAKARA: 2:4, and (in their hearts) have the assurance of the Hereafter. 1:7 The way of those on whom Thou hast bestowed Thy Grace, those whose (portion) is not wrath, and who go not astray. THAT IS THE TRUE PATH: 1:6 which Muslim asking ALLAH to grant him, atleast 17 times a day in his prayer ! The Path of Ahlul Bayt, the Path of Imams and Shaykhs of Ahlul bayt, of the greater majority of Muslims, of Awliya Allah, of the Path of Sufism!. Hudhayfah ibn al-Yaman said, “People used to ask the Prophet, peace be upon him, about good things, but I used to ask him about bad things because I was afraid that they might overtake me. I said, ‘O Messenger of Allah, we were lost in ignorance (jahiliyyah) and evil, then Allah brought this good (i.e. Islam). Will some evil come after this good thing?’ He said, ‘Yes’ I asked, ‘And will some good come after that evil?’ He said, ‘Yes, but it will be tainted with some evil’ I asked, ‘How will it be tainted?’ He said, ‘There will be some people who will lead others on a path different from mine. You will see good and bad in them.’ I asked, ‘Will some evil come after that good?’ He said, ‘Some people will be standing and calling at the gates of Hell; whoever responds to their call, they will throw him into the Fire.’ I said, ‘O Messenger of Allah, describe them for us.’ He said, ‘They will be from our own people, and will speak our language. Quran 1:7 Sura Fatiha The way of those on whom Thou hast bestowed Thy Grace, those whose (portion) is not wrath, and who go not astray. Who are on path of Astray? Not in the Path of those servants (Muslims) , who abuse and oppress ahlul bayt , destroy their houses and tombs!, Not in the Path of those who call them Mushrik and Kafir! Not in in the Path of those who demolish the tombs and graves of ahlul bayt! From the above Hadith we can see that Love and Obedience to the Imams and Shaykhs of Ahlul Bayt and their successors (Awliya Allah, the Saints of tasawwuf/Sufism) is the basis of our religion and success. Prophet alaihiswalathu wa salam, loved his family and descendants, so to love them is also a Sunnah and to follow them and give their rights is what Prophet alaihiswalathu wa salam said to this nation. So Wake up, don’t fool yourself by going behind so many misguided sects and groups, organizations and parties! The Awliya Allah (Sufi Saints) are those who inherited the Quran,Sunnah and spirituality of Prophet and Imams Ahlul Bayt . This is why, we seldom find any religious scholar, who were not a Sufi! All the Imams of ahlu sunna were Madhab following Sufis. 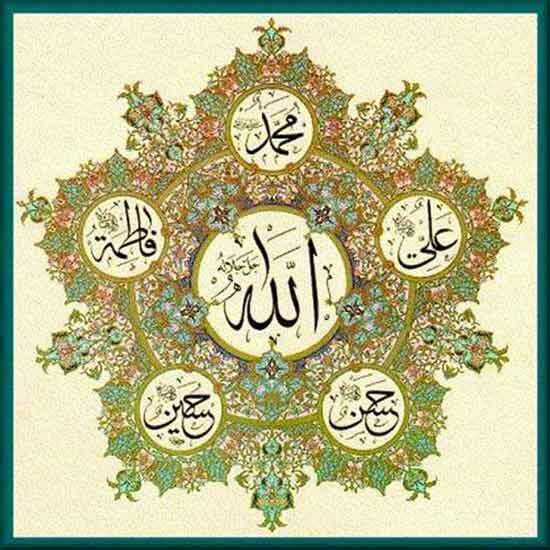 Greater Majority of Muslims and their Imams loved and followed Imams of ahlul bayt and way of Sufis. 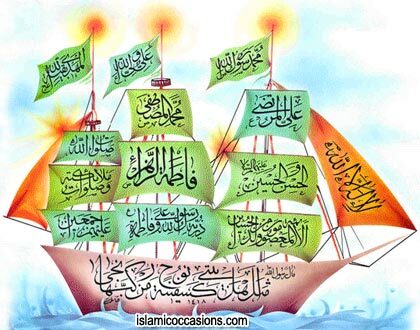 Shia who claim, they follow Imams of ahlul bayt, did not inherit the legacy of ahlul bayt, i.e Wilayath and the Islamic Caliphate,never in the history of Islam!. You can either follow Quran and traditions with whole heart or follow some and reject other , that fit your ego! Next Post sheik Nazim is Awliyaullah,why doesnt he curse them and say to AllahSWT to punish them?